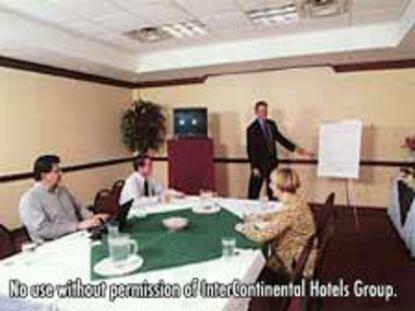 Welcome to the Holiday Inn-Weirton, West Virginia.The Holiday Inn is located only 20 minutes from the Pittsburg International Airport and to downtown Pittsburgh. At the Holiday Inn -Weirton you will experience friendly hospitality and the conveniences of home whether your on business or pleasure. Located just off of US 22 the Holiday Inn-Weirton is nestled in the picturesque foot hills of Wild Wonderful West Virginia.With a unique location that borders Pennsylvania and Ohio, we're just a short drive from Pittsburgh International Airport(PIT), Mountaineer Race Track & Gaming Resort, Post Gazette Pavilion, Pepsi Cola Roadhouse, Mittal Steel, Wheeling Pittsburgh Steel, Fransican University, Homer Laughlin China Co., Weirton Medical CenterUnwind and relax in Undo's Italian Restaurant located inside the Holiday Inn for their tantalizing Italian cuisine. If you're craving ribs then Dee Jay's Ribs is with in walking distance from our hotel.Looking for a place to meet&regOur banquet and catering staff can coordinate every detail of your event making the Holiday Inn-Weirtonthe hotel of choice for weddings, reunions, and conferences. What ever your reason is for coming to Weirton, WV make the Holiday Inn your choice for overnight accommodations.